A fully modernised luxury croft cottage which adjoins Caisteal Liath House, but is fully self-contained with stunning sea-loch and mountain views from every window. A separate lounge is complemented with a reclining leather suite, 28” widescreen television with Sky tv., dvd player, video recorder, and i pod docking station. 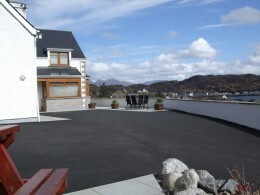 The large picture window provides stunning views across Lochinver bay towards the harbour and the mountains of Canisp, Suilven, Cul Mhor and Stac Pollaidh. The kitchen also has stunning views and is fitted with oak units and has a low level breakfast bar table to dine at. 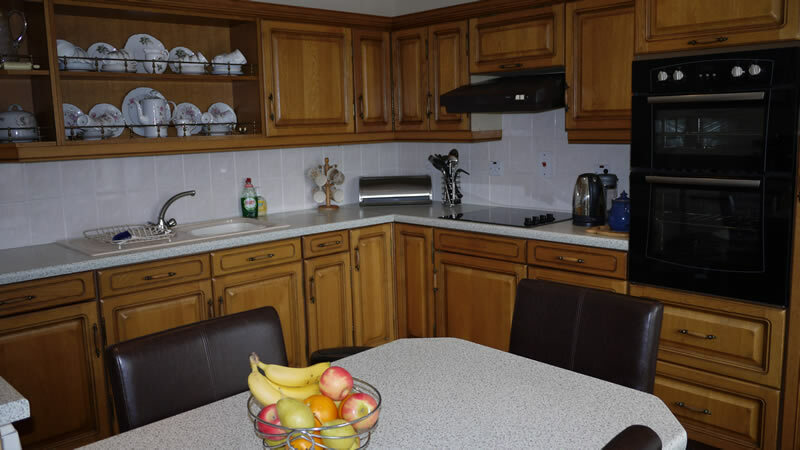 Appliances include an electric double oven and grill, four ring ceramic hob, full size dishwasher, microwave, fridge/freezer, washing machine, coffee maker and ample pans, crockery and cooking utensils. Upstairs is an additional bathroom with a Jacuzzi whirlpool bath, w.c., wash hand basin and shaver point. Two bedrooms are also located upstairs, one has a king size bed and the other has a double bed, total sleeping area up to 4 persons. 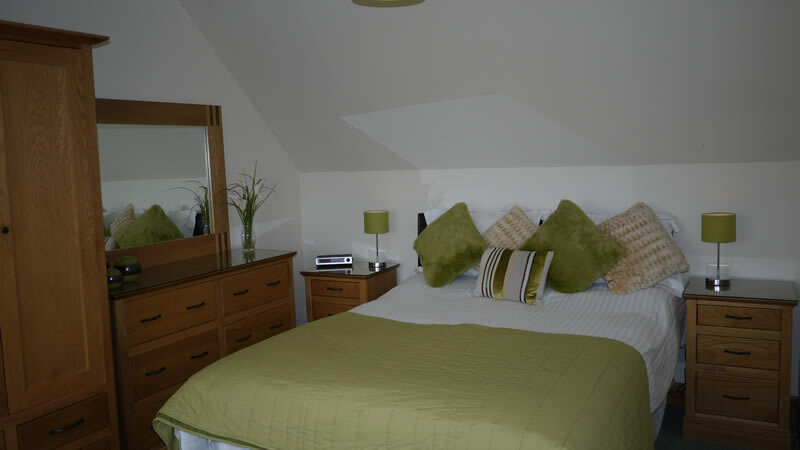 Each bed has an under blanket, duvet and two pillows/person and are made up for your arrival. 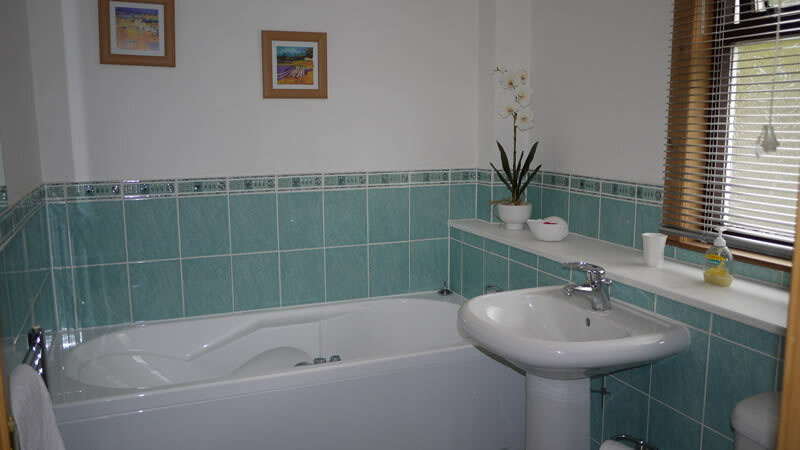 The cottage is fully double glazed and has electric heating throughout for use from May to September inclusive. Oil fired heating is also in use from October to April as well as the panel heaters and the heating cost is inclusive. There is also free wi-fi for enabled laptops. 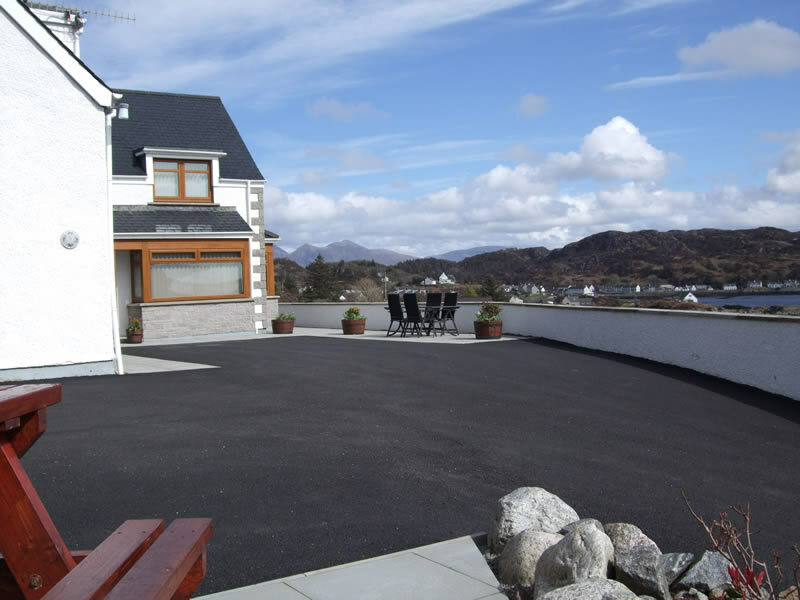 Outside there is a patio area with table and chairs where you can sit out and admire the panoramic views of the harbour, village and the mountains looming in the background. There is a parking area at the side of the house which is shared with the proprietor who resides in the adjoining house.